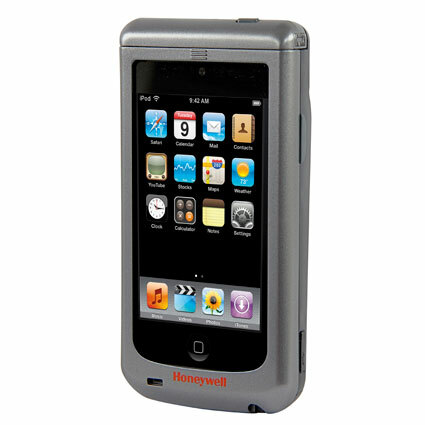 The Honeywell Captuvo SL22 sled gives any 4th generation iPod Touch the data capture features and durability required for mobile POS success. Using Honeywell´s fantastic scanning technology, integrated card reading, and a battery for maximum usability, the Captuvo is a great fit for mobile inventory management, in-store customer service, or even POS outside the four walls. 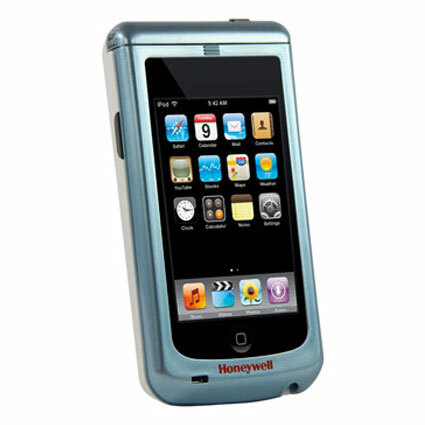 Honeywell´s Adaptus imager provides the aggressive barcode scanning you need, reading 1D and 2D barcodes faster and more easily than through the iPod Touch´s built-in camera. The Captuvo also offers an EasyDL model, allowing you to parse driver´s license barcodes, terrific for customer loyalty or credit card application programs. For full payment capture, optional Captuvo models include an encrypted credit card reader, fully converting your iPod touch into a complete payment solution. The Captuvo was built to maximize productivity at your business. 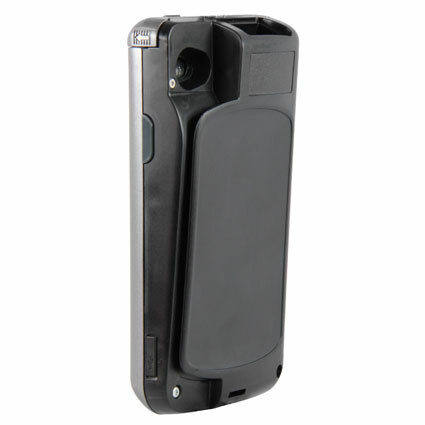 A replaceable rechargeable battery powers the barcode scanner and card reader functions, ensuring you get the iPod Touch´s advertised battery life. The sled uses a security screw to hold the iPod Touch securely, providing both antitheft measures as well as drop protection of 4-feet to concrete. 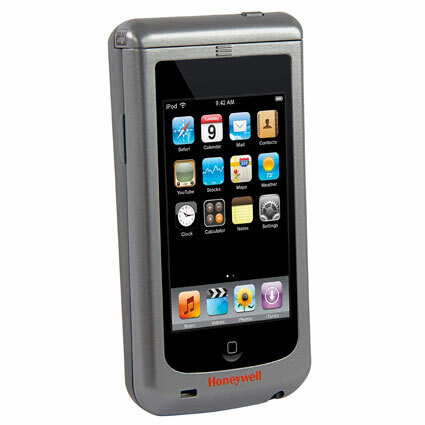 Shipping with a 1-year warranty, the Honeywell Captuvo SL22 is a great way to add mobile computing at your business. Dimensions (W x D x H): 2.6" x 1.2" x 5.1"